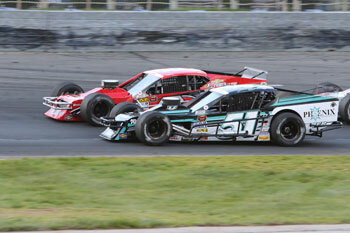 (Stafford Springs, CT)—After finishing second and third in the NASCAR Whelen Modified Tour points standings the last 2 seasons, Justin Bonsignore enters the August 3rd Starrett 150 at Stafford Speedway in the midst of a dominant season that has him leading the championship standings. Through 8 races, Bonsignore and the #51 Phoenix Communications, Inc. team have recorded 4 wins, 7 top-5, and 8 top-10 finishes. Bonsignore has said many times over the course of his career that Stafford hasn’t been his strongest track and his lone finish outside the top-5 this season came at Stafford back in April for the NAPA Spring Sizzler. But with how well he and his team have been performing this season, Bonsignore is looking to get the Stafford monkey off of his back in the Starrett 150. Bonsignore has already tied his career high mark for wins in a season with 4 and there are still 8 races left on the 2018 schedule. Bonsignore credits a chassis change and the addition of Ryan Stone as his crew chief over the winter as the main factors in his success this season and with a stretch of 3 races over the next two weeks, Bonsignore is looking to kick off the second half of the 2018 season with a strong effort in the Starrett 150. 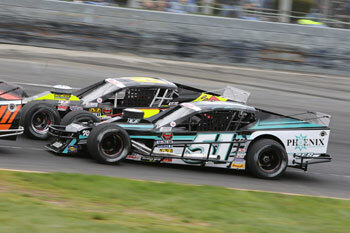 A step in the right direction for Bonsignore to be able to win the Starrett 150 is to have the correct pit strategy. 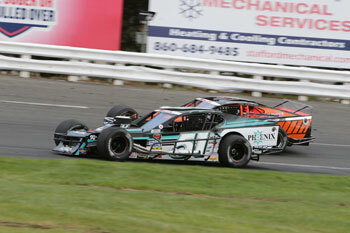 Bonsignore had a strong run in the NAPA Spring Sizzler back in April at Stafford, but he feels like he could have had an even better finish than 8th place if he had a better pit strategy. With teams only allowed one tire per pit stop and three tires to change during the Starrett 150, nailing down the pit strategy will be key although Bonsignore says that the perfect pit strategy is harder to formulate than one might think.